Mr. 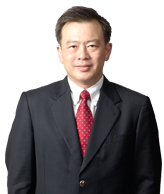 Sin Boon Ann was appointed as an Independent Director on 25 May 2009. He serves as Lead Independent Director, Chairman of the Nominating Committee and the Remuneration Committee, and is also a member of the Audit Committee. He was last re-appointed as a Director at the Annual General Meeting held on 30 April 2015. Mr. Sin has been the deputy managing director of the Corporate & Finance Department at Drew & Napier LLC since 2009. Mr. Sin is principally engaged in corporate finance and mergers and acquisitions. He was a Member of Parliament for Tampines GRC from 1996 to 2011. Mr. Sin was a member of the Government Parliamentary Committee for Health and Defence and Foreign Affairs from 2009 to 2011. Mr. Sin taught at the Faculty of Law of National University of Singapore from 1987 to 1992. Mr. Sin has been a lead independent director of HRnetGroup Limited since 2017, an independent director of CSE Global Limited since 2002 and Rex International Holding Limited since 2013. Mr. Sin also serves as the chairman of both the nominating committee and the remuneration committee for Rex International Holding Limited since 2013. He was also appointed as a board member of Singapore Centre for Social Enterprise Ltd. in April 2015. Mr. Sin was an independent director of Transcorp Holdings Limited from 2002 to 2015. Mr. Sin holds a Bachelor of Arts and Bachelor of Laws (Honours) degrees from the National University of Singapore, and a Master of Laws from the University of London.